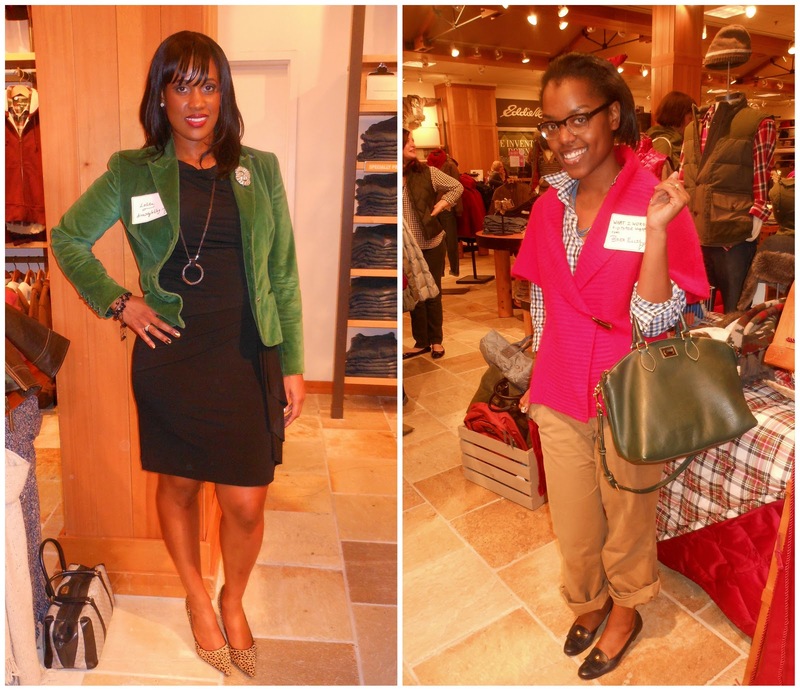 Summary: Lola Mendez of LaForce + Stevens reached out to CapFABB about a great event that Eddie Bauer was hosting. 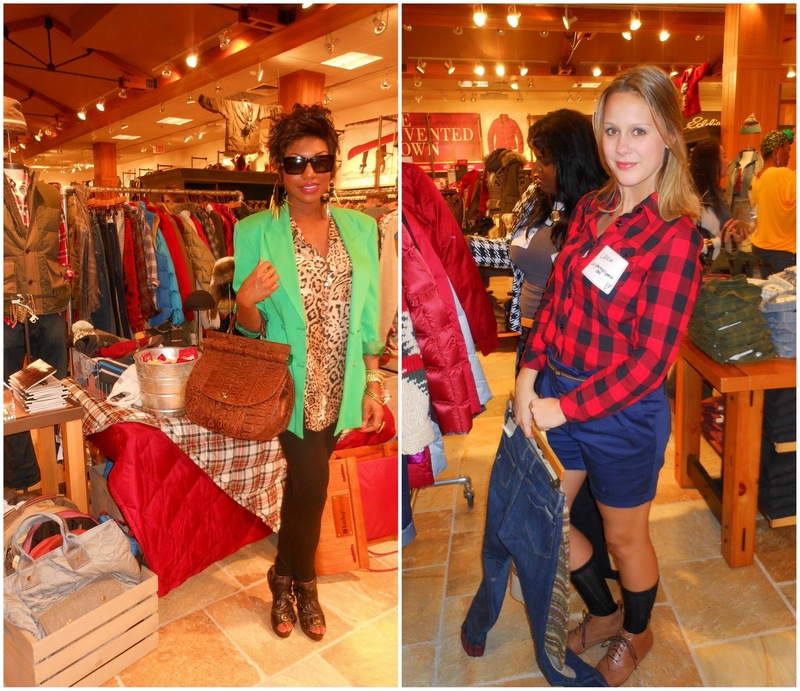 In honor of their new holiday collection, EB invited us to their Tyson's Corner location to come in and style their male and female models. I got there to see racks filled with down jackets, vests, chunky fair isle cardigans (my favorite! ), plaid shirts, etc. There was even a women's jewelry rack which I didn't even know EB sold. In fact, it's been quite a while (re: YEARS on YEARS on YEARS) since I've shopped at EB. Funny enough, Brea reminded us how back in the day if you went to middle school/high school here in the DC area and you weren't wearing either Tommy Hilfiger, Eddie Bauer, North Face jackets/coats, WB cartoon apparel (especially the jean jackets) or New Balance on the feet, you were pretty much non-existent in school. Craziness. I only owned a Tommy Hilfiger shirt. I was barely holding on. 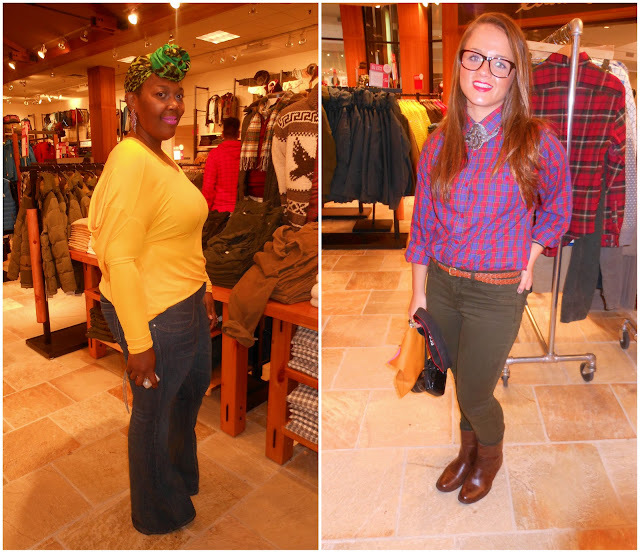 It wouldn't be a style blog if I didn't break down what I wore, right? Right. Let's get to it. 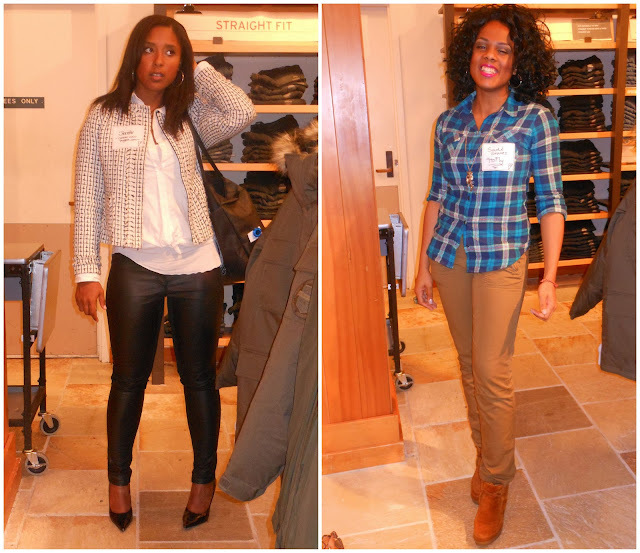 I wanted to look as casual but stylish as possible considering I was at an Eddie Bauer event. The velvet dress was actually much longer, give or take midi length. After going back and forth in my head, I decided to cut it free hand. Lawd, thank goodness it doesn't look like a wreck. Oooh, and I finally got me a pair of Oxfords. They're from Simply Be. Very comfortable. Lola writing down Vyque of Fasshonaburu's information. 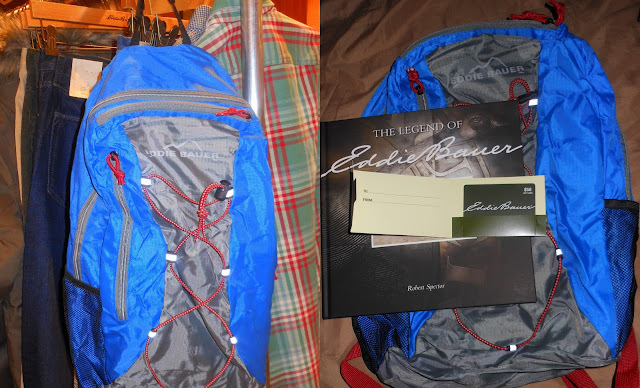 Contents: bookbag, $50 gift card, "The Legend of Eddie Bauer"